Here is your chance to go back in time with us and see Ancient Egypt like you’ve never imagined before. There are so many mysteries behind this great ancient civilization. Researchers still have not uncovered half of their extensive history. We still have no idea who, how and why the Pyramids at the Giza Plateau were built, we have no idea how they quarried megalithic stones and transported them to the numerous ancient sites across the country. The only thing we can do is search on, and enjoy the sheer amount of discoveries that prove this land is more than just magical. 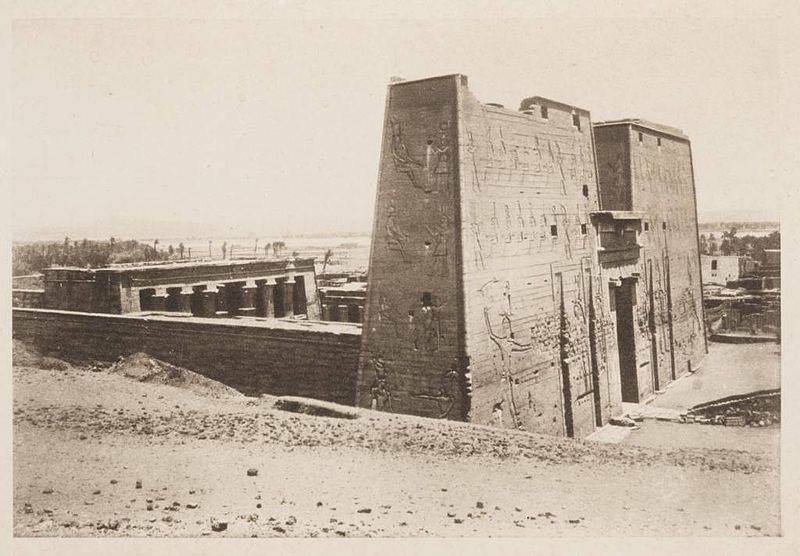 Today, countless images of the pyramids and ancient temples are available on the internet. In these images, we can observe the true beauty, elegance, perfection and passion of the builders of ancient Egypt. However, the most beautiful images aren’t the new ones in my opinion. 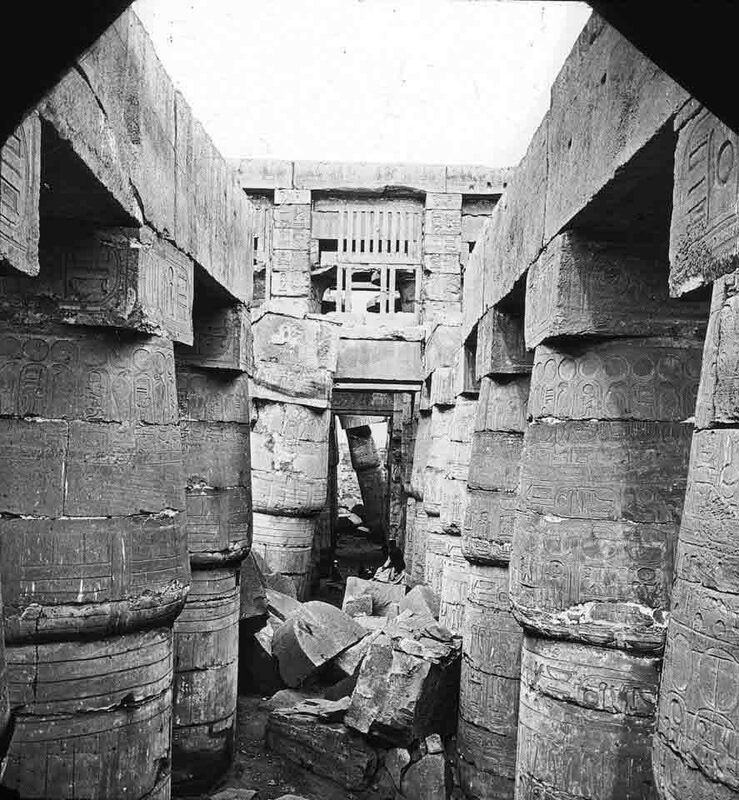 There is a great amount of images of ancient Egypt that were taken at a time when most of the monuments were still not restored. 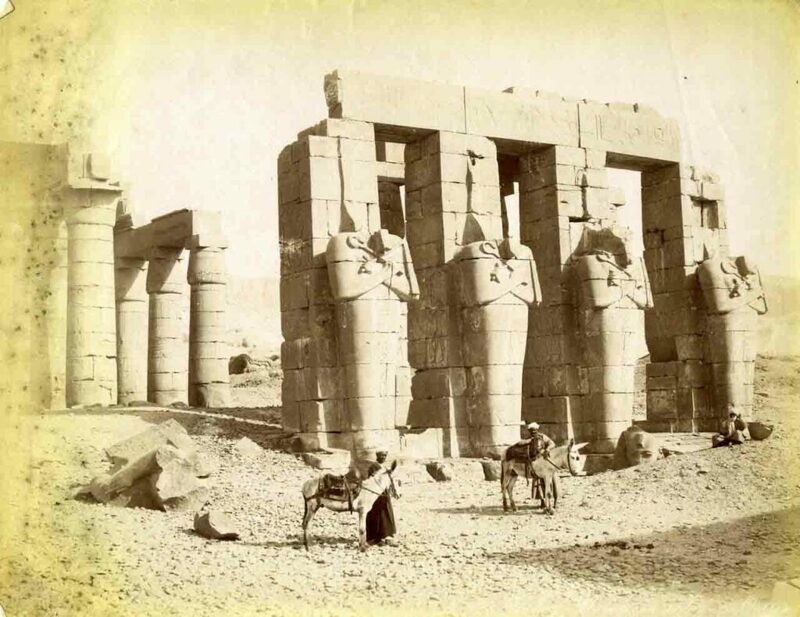 Still in their original position, covered in sand and stories of a time when ‘Gods ruled over Egypt’, rare images of the Pyramids, the Great Sphinx, Karnak, and other ancient sites in Egypt show a never-before seen beauty of the true Ancient Egypt. 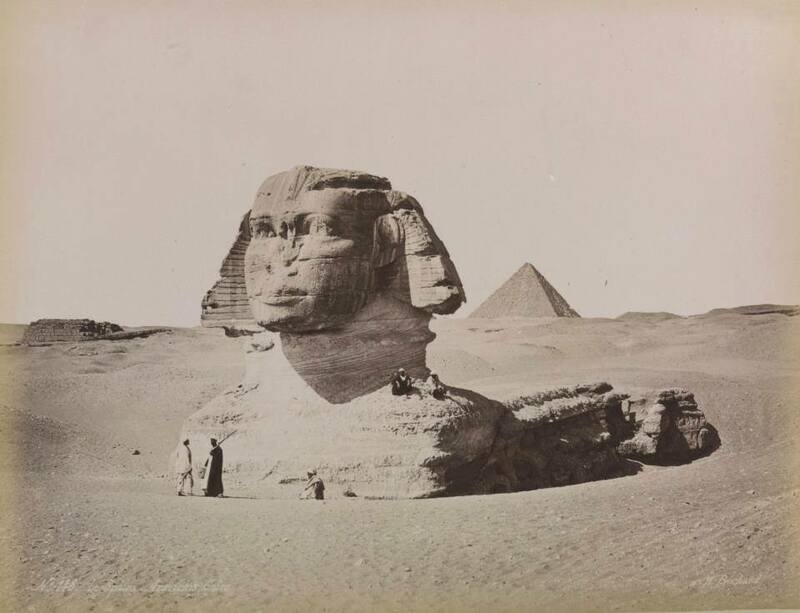 This is why in this article, we have decided to search for the rarest and lesser-known images of the Land and the Pharaohs and invite our readers to explore the wonders of an ancient civilization that have conquered our history books for centuries. The great hall, Karnak. This image was taken ni the 1920’s. 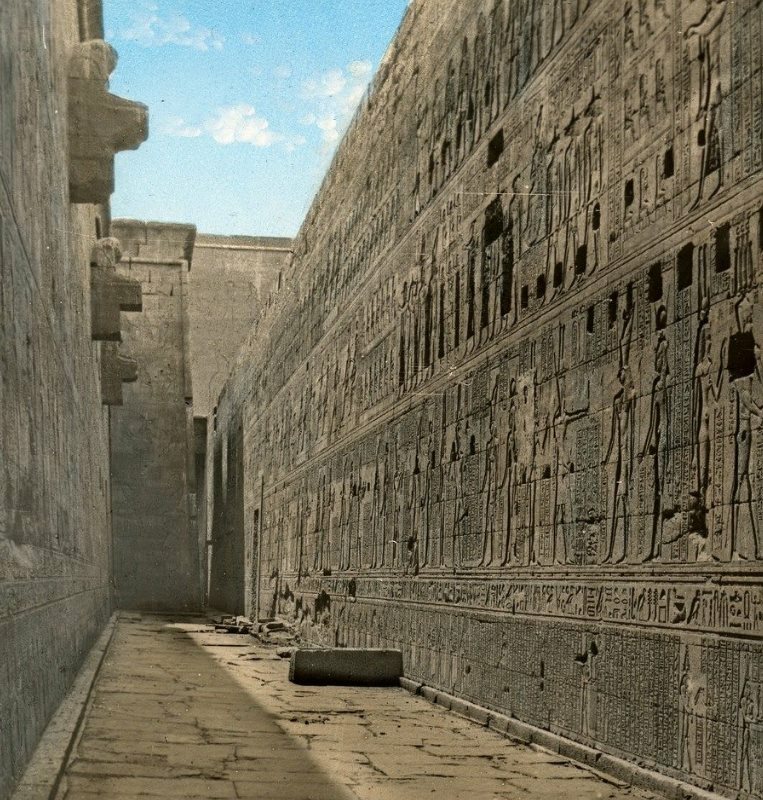 Another beautiful ‘rare’ image of Luxor, the Court of Amenhotep III. The image was photographed circa 1858. A man standing on the shoulder of the Great Sphinx. The image was taken in the 1900’s. Notice the size of the monument. 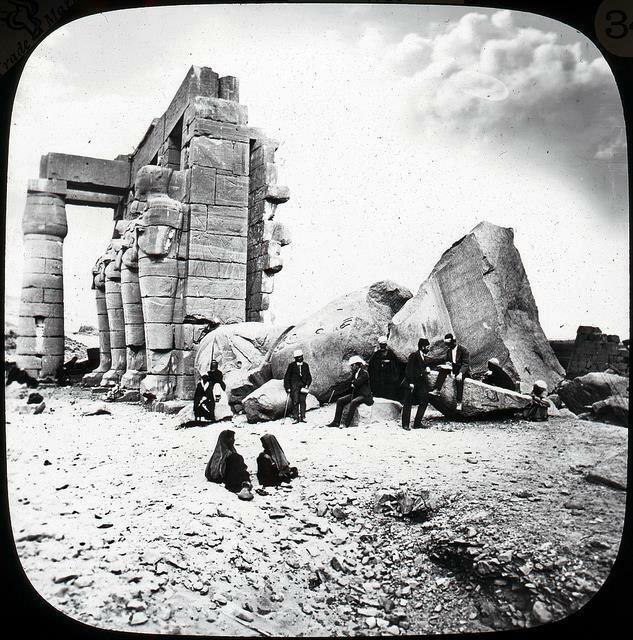 This image shows the Head of the colossus of Ramses II at the Ramesseum. This image was taken around 1900. This Graeco-Roman temple was built by the 18th-Dynasty pharaoh Tuthmosis III in honor of the ram-headed god Khnum. This image was taken in the 1900’s. IN this image you can see the side panel from one of the Colossi of Memnon, the last remaining structures from the mortuary temple of Amenhotep III, known as Kom el-Hetan. The image was taken around 1900. 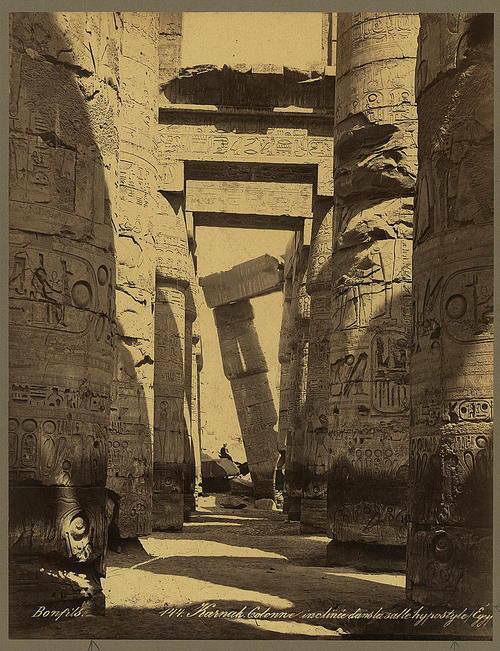 Another breathtaking image of the Karnak temple pillars. Taken in the early 1900’s. A beautiful image of the Temple of Horus in Edfu. The image was taken circa 1905. 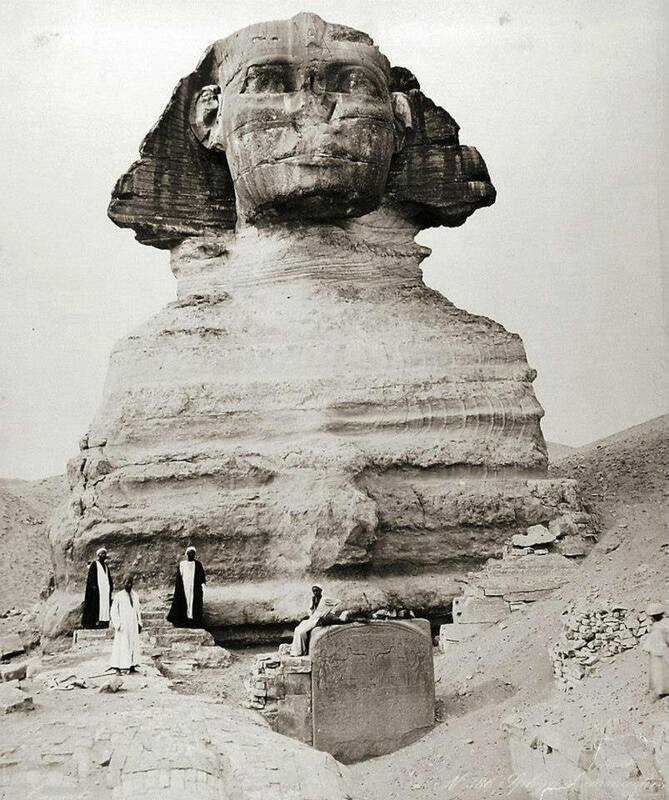 A fascinating image of the Great Sphinx of Egypt before being fully excavated. 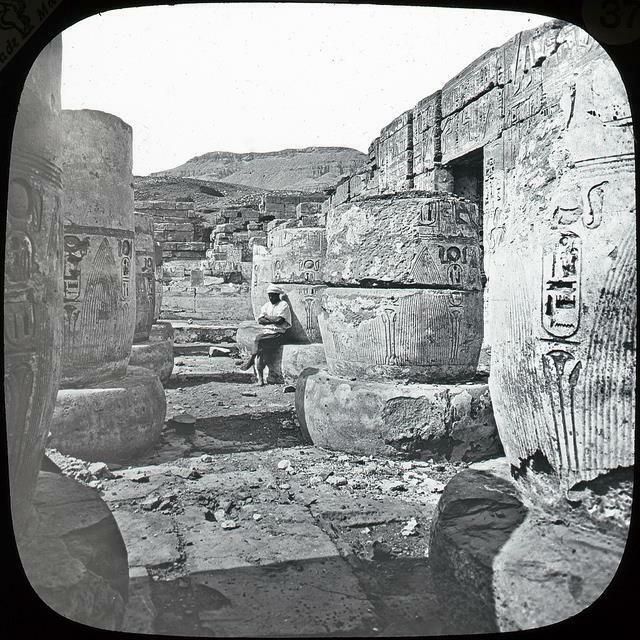 The image was taken circa 1880. Mind-boggling image of the Philae temple. The image was taken in the mid-1800’s. Another rare image of the Great Sphinx of Giza. The image was taken in 1887. 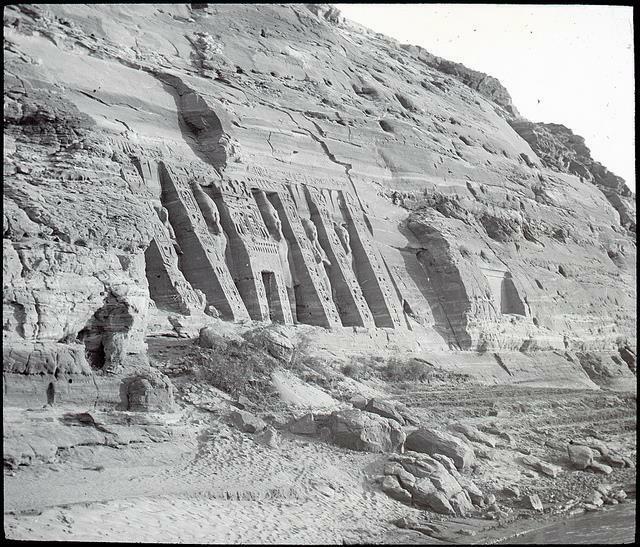 This is a rare image of the Nefertari temple in its original state around 1890-1900. 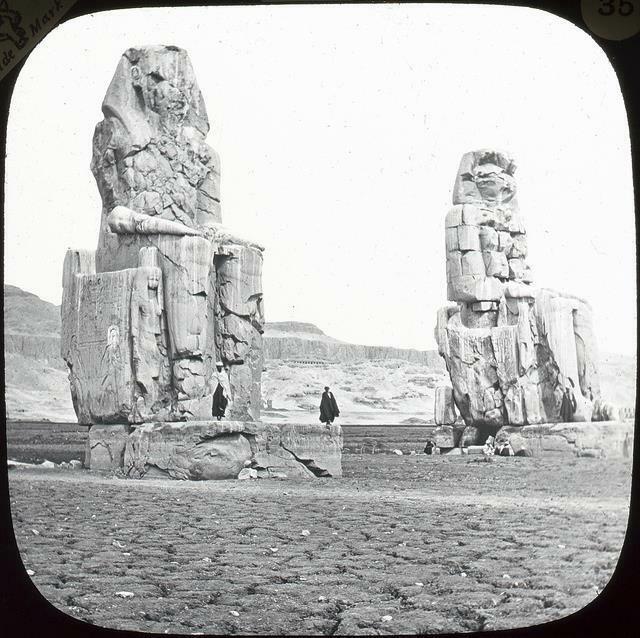 A rare image of the Clossi of Memnon. A rare image of the interior of the Deir El-Medinah temple. 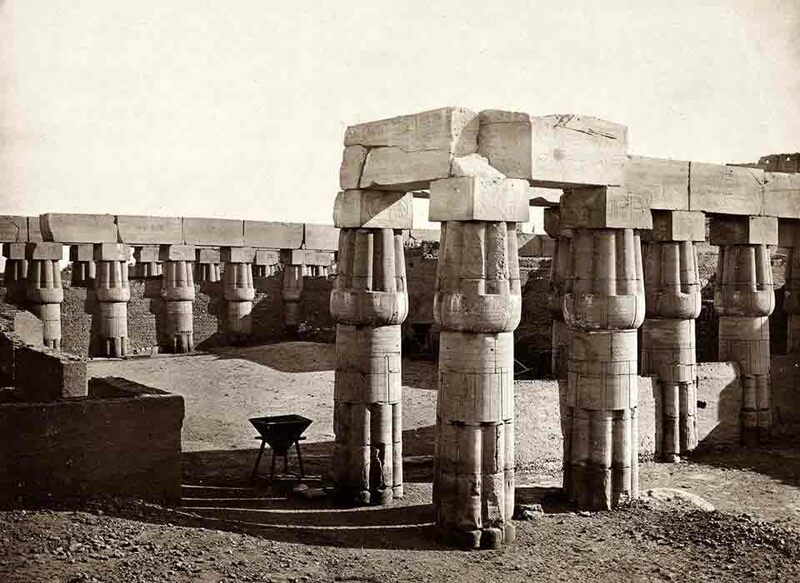 An old image of the Ramesseum. 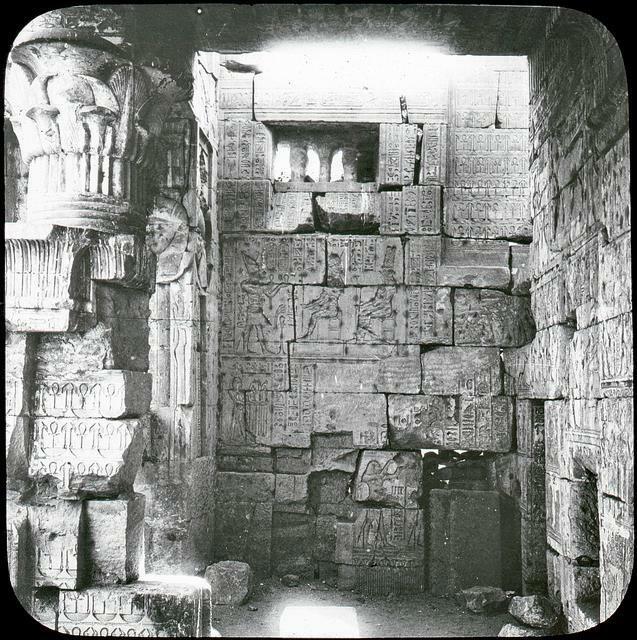 A rare image of the court of the Madinet Habu temple. 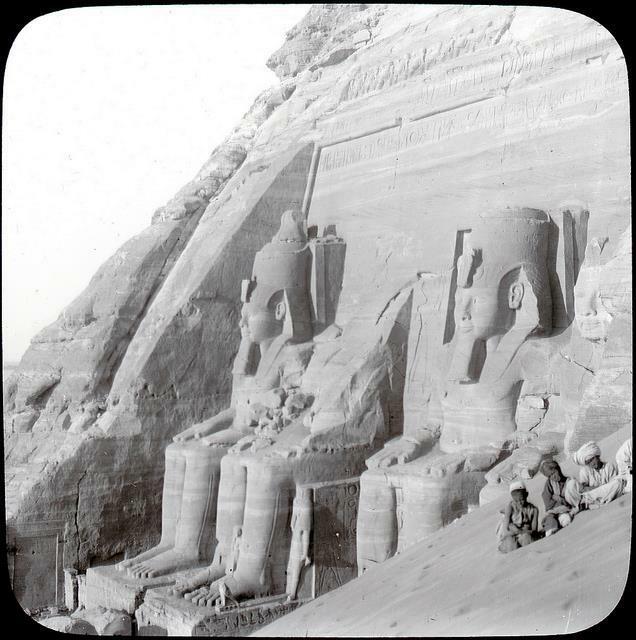 This image of the Abu Simbel temple was taken 110 years ago. 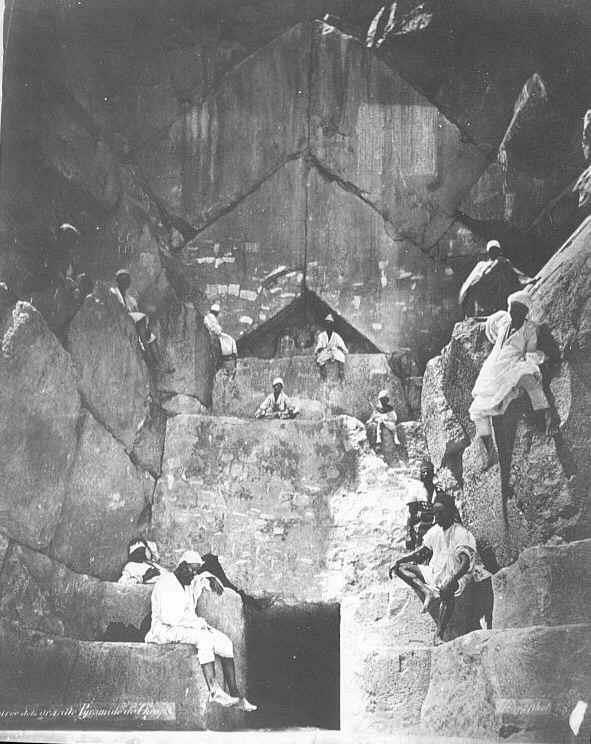 Pictured here is the original entrance to the Great Pyramid. 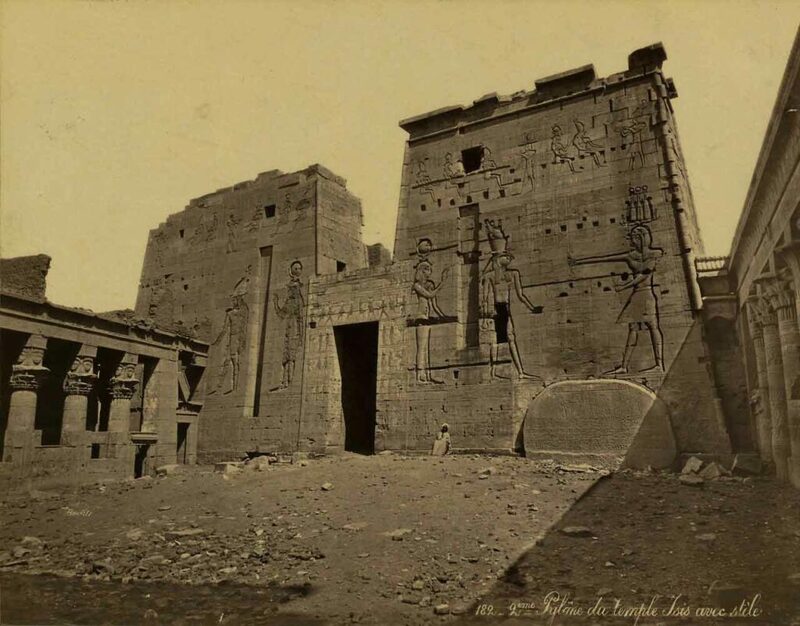 Temple of Horus in Edfu in the 1900s.